Last March, me and another game designer friend decided to launch an indie gaming event in our hometown of Montreal along with the help of our friends and some very kind volunteers. We never organized a major event before and a great deal of experience came out of it. I want to share our experience with you in case you are planning to organize a gaming event yourself. 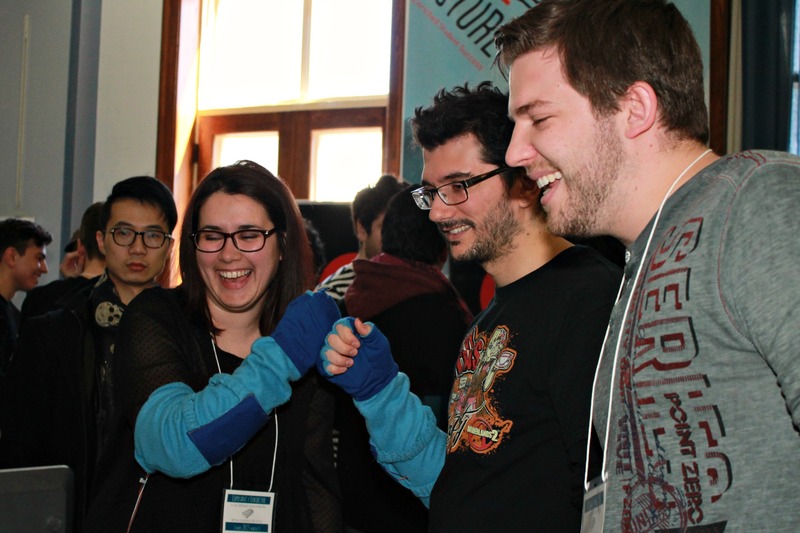 The idea of the Montreal Independent Games Festival (MIGF) came to us when we realized that there wasn’t a great deal of events that focus solely on celebrating indie developers in Montreal. Gamers of Montreal know all the big studios already, so we thought it would be only fair if they had an opportunity to know the little studios as well. Been inspired by events such as BitSummit that is held in Kyoto, we thought that this kind of project could be feasible with the resources that we had. 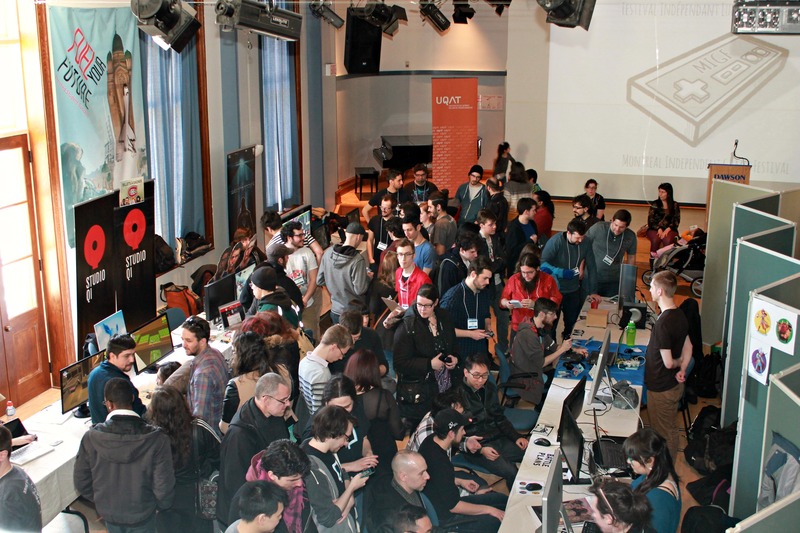 The activities of the event would be kept simple for the first year, focusing on showcasing indie studios on the show floor and giving non-cash prize reward for the best games. We soon realized that we were right; in fact, the event surpassed our personal expectations. 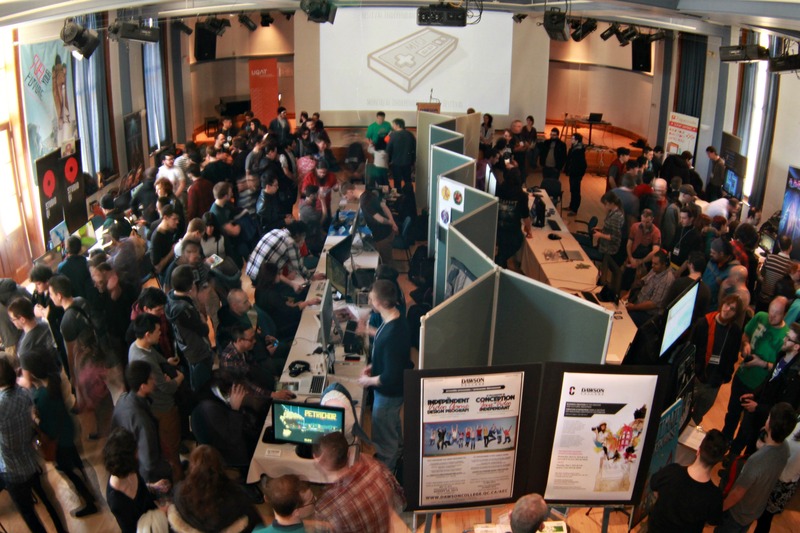 We had over 40 game submissions and we estimated that about 900 people came throughout the day. We learned that if you have schools in your hometown that give courses related to video games, they can become essential partners. Even if they can’t help you with funding, they can offer so much more. Schools often have rooms that are specifically made for events and they can already have a system in place for planning such events. 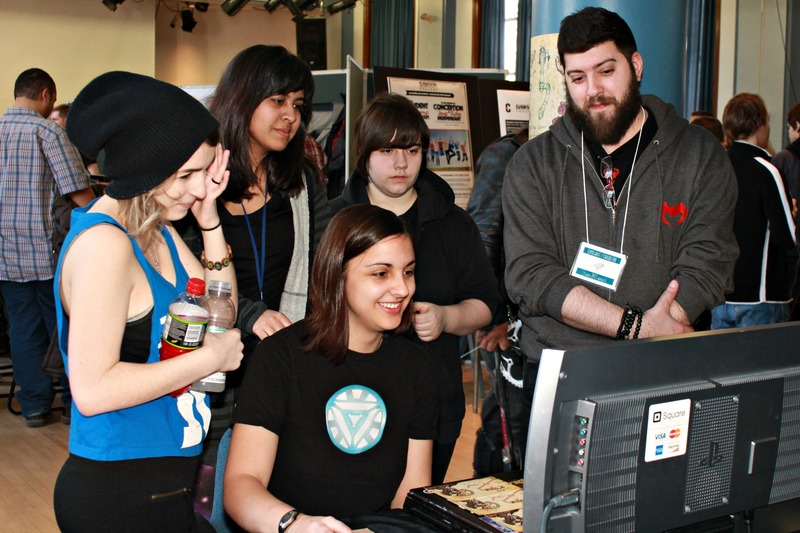 In our case, we already had good relations with Dawson College, a local college that offers courses in independent game design; they were more than happy to give us access to one of their conference room in exchange for promotional space for their programs. Ok, so we did manage to get a venue fairly easily, but we also realized that there would be costs involved such as for artwork, printing, awards, etc. We knew that since it was our first year, it would be very hard for us to get big sponsors such as the Microsoft or Nintendo. Also, we decided that charging people at the door or asking a fee from the indie studios would not be a good option since it would compromise the accessibility of the event. Our strategy was simple: Focus on the activities that are low cost and high value for the first year to keep the budget low. Since the showcase of indie studios on the show floor was an activity that required little cost and management from us, we decided to fully focus on that. As for the awards, we decided not to focus on prize money and rather on the prestige of winning an award. One of the awards was voted by the public and added even more drama to the scene. As organizers who were also indie developers, it was clear to us that we should not participate in the awards or be part of the nomination process. I contacted websites before as a developer to promote my game, but I never did it to promote an event and I never really contacted the local press; I didn’t know what to expect. As it turns out, we got excellent coverage; two key local newspapers wrote about us and also a few noticeable local blogs. On this point, I would advice to be ready to tell your story and also answer questions; reporters find personal story behind an event very appealing. Things went very well for the first year of MIGF, but we also know that there’s always room for improvement. Here are some things we want to improve. Our most common critique was that the room was too small. The truth is, we didn’t expect the show floor to be so packed; I guess it’s kind of a good problem to have. We already have a bigger room planned for next year. We should have contacted the sponsors earlier and be more active in our search. Alot of the sponsor work was done too close to the event date and that put some pressure on us. We would also like to get more partners and sponsors that not necessarily help us with funding but with supplies and other benefits as well. As for promotion, we focused on blogs and newspaper this year, but I would also like to start reaching out to other media outlets such as local radio and TV shows. Hopefully, with more partners and sponsors, we can add new activities to the festival such as musical performance and also guest talks. Also, we noticed that the work done by our volunteers was fantastic and we want to give them more rewards for their help in the future. All in all, our festival was a success and we are extremely happy with the result. We learned a lot of things while making the event and we are also very grateful to our friends and the local professional in the gaming scene that took the time to give us advices. I hope that this post was able to inspire you or help you if you are planning a gaming event yourself! This entry was posted in Game Business and tagged indie game festival, indie games, Montreal, video games on June 1, 2015 by Salim. Hello! I’m Salim, a game designer from Montreal and I like to share my thoughts about the creative and business side of video game production.